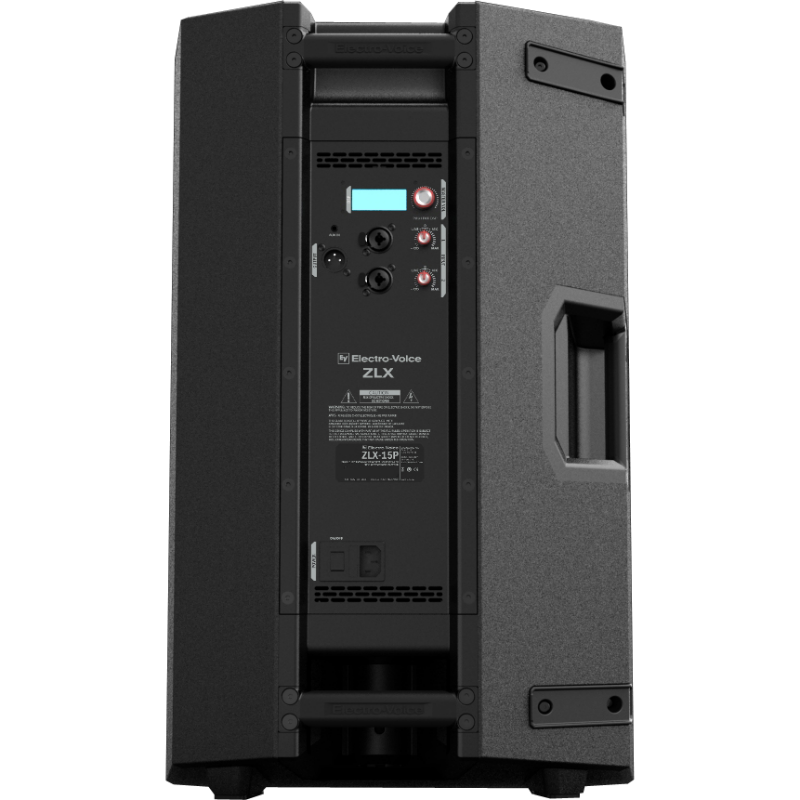 The Electro-Voice ZLX-15P has an incredibly powerful built-in 1000W Class D amplifier. Class D means it will run very efficiently and cool, while the built-in DSP processing ensures even further efficiency. Crank the ZLX-15P all the way up and not worry about it! The ZLX-15P features EV's legendary build quality with a lightweight polypropylene enclosure and 18 gauge steel powder coated grill. The ZLX-15P has a total of 3 handles, two on the back and one on the side. At only 38 lbs, the ZLX-15P is easy to transport. It's EVS-15L woofer and DH-1K HF driver will provide years of enjoyment without problems. The ZLX-15P has an easy to use control panel and display on the back that handles most of the built-in functions. 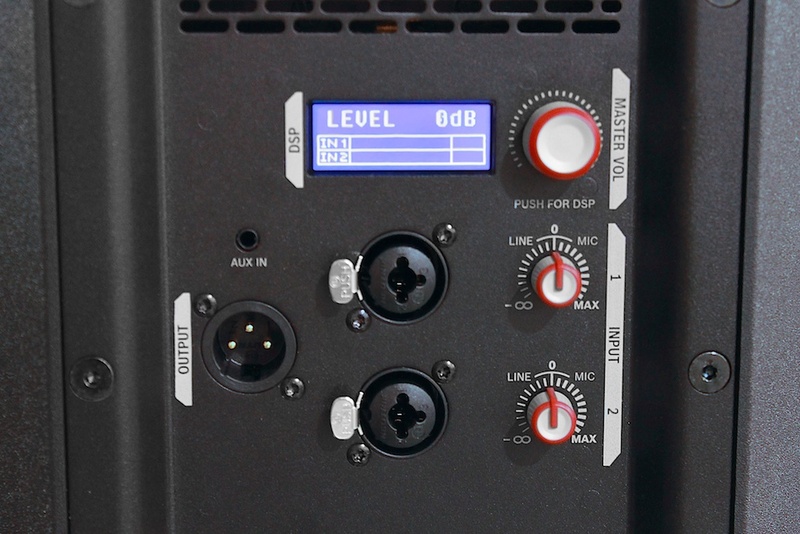 Each of the XLR/TRS Combo inputs has a dedicated level control. The large knob next to the display handles everything else. In the menu you have a master level control with a -infinity to +9dB gain range. Each of the two inputs have meters for measuring input gain, ensuring proper gain staging throughout the system. There are preset EQ curves for the speaker (Music, Club, Speech, and Live) depending on the application. There is a position control to set further equalization depending on the speaker's location (Pole mounted, wall mounted, and floor monitor). The ZLX-15P has basic ± 10 dB Bass and Treble controls. 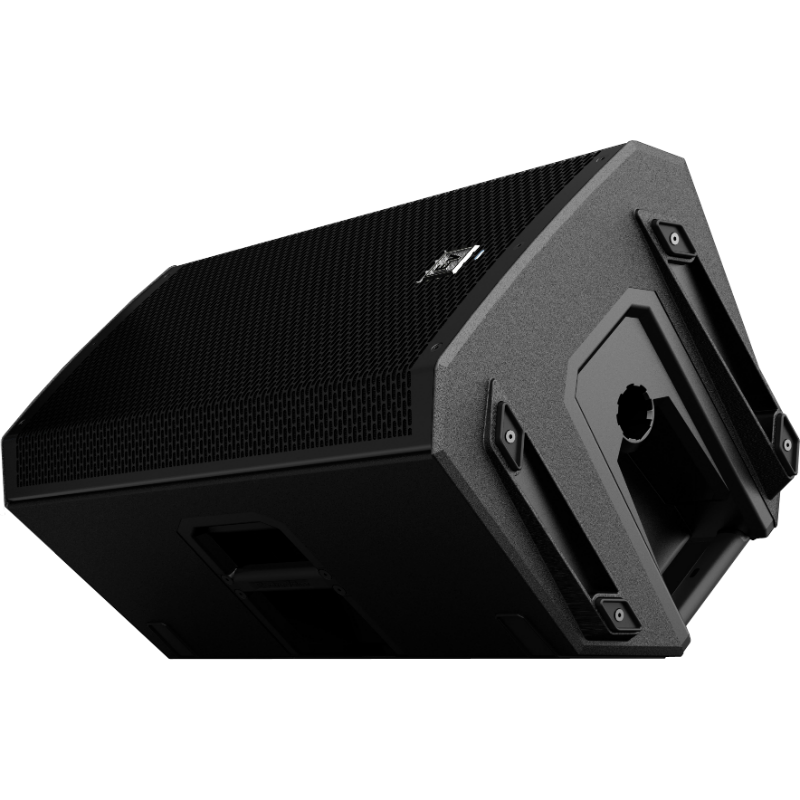 The ZLX-15P also has a Sub control which offers 5 options; Off for full range use, 80Hz, 100Hz, and 125Hz HPFs and a preset filter for use with the EV ELX-118P subwoofer from the Live X series.